This recipe by Chef Edward recently won the 'Choice of the Nation' contest. Last September, Chef Edward Taponan won the Unilever Food Solutions Choice of the Nation Grand Cook-Off with a dip that can complement virtually anything, thanks to its well-balanced flavors. 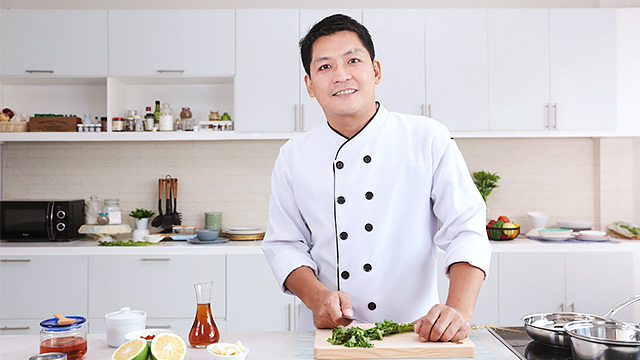 His Thai Honey Chili Dip beat out 86 other entries from all over the country, earning him P100,000 in prizes and the honor of being the competition’s first-ever champion. And now, you can learn to make it by watching the video below. The dip blends spicy Thai red curry paste with garlic, coriander, and white pepper; a splash of saltiness with Thai patis; the zestiness of Kaffir lime leaves and fresh lime juice; and a spoonful of honey to round out the taste profile. The mixture is then combined with a generous amount of Lady’s Choice Mayonnaise to marry all the flavors in perfect harmony. The end result is a dip that has as many uses as you can imagine. “I wanted to formulate a balance of flavors that is neoteric; a universal dip you can use on almost everything and every day,” Chef Edward explains. While the recipe was conceived as a dip—it goes great with chips and veggies—you can enjoy it in a variety of ways. 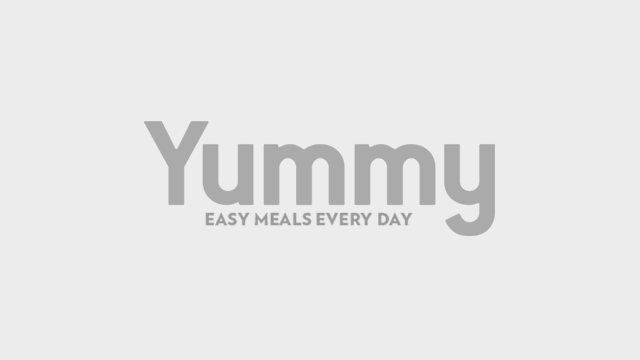 Chef Edward recommends spreading it over sliders; juicy burger patties get an irresistible combination of salt, fat, acid, and heat with a little Thai Honey Chili Dip on them. The spiciness of the dip also goes well with dishes that are traditionally served cold. Mixing it in with cold soba noodles creates a delightful mouth-feel that wakes up the taste buds, and using it as a salad dressing really whets the appetite at the start of a meal. 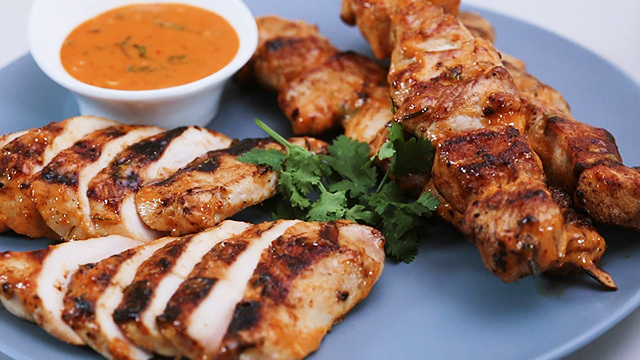 If you’re the grilling sort, you can try basting it on chicken or pork. The smoke from wood or charcoal will bring new layers of depth to the sauce, adding earthy and slightly nutty notes to an already flavor-packed dish. And because it’s made with Thai red curry, it’s a match made in heaven with seafood dishes. 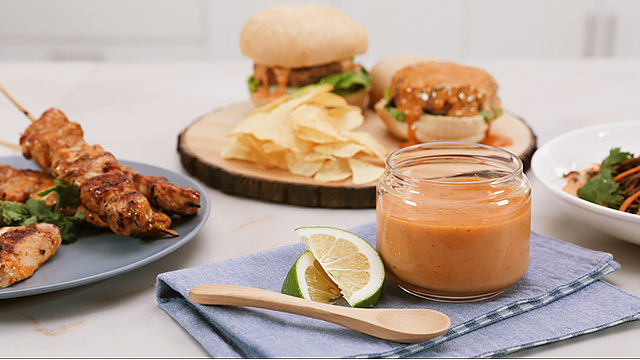 The Thai Honey Chili Dip was something that Chef Edward had always wanted to develop, and he saw the Unilever Food Solutions-sponsored contest as an opportunity to make the recipe a reality. “I have always wanted to create a dip that can complement any kind of dish and would have a universal appeal, so when I saw the post about the competition, I found it to be the perfect avenue to explore the idea,” he shares. Learn more about Universal Food Solutions’ Choice of the Nation competition by following this link.